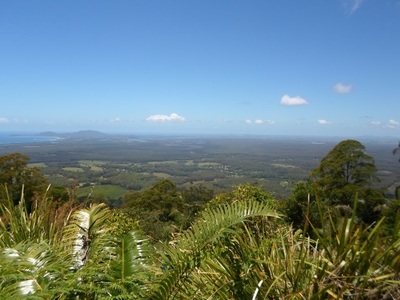 Yarriabini National Park is located near the coast in the Nambucca Valley, midway between Sydney and Brisbane. Its main attraction is the Yarrahapinni Lookout, which offers views over Trail Bay and the Macleay River estuary from Mount Yarrahapinni. 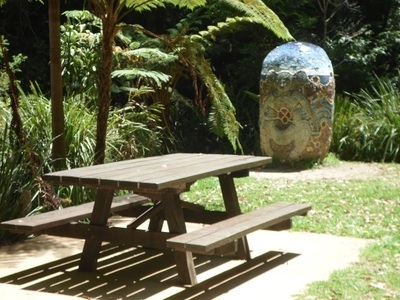 There's a car park, information shelter and small picnic area at the lookout, however, there's also a much bigger picnic area elsewhere. 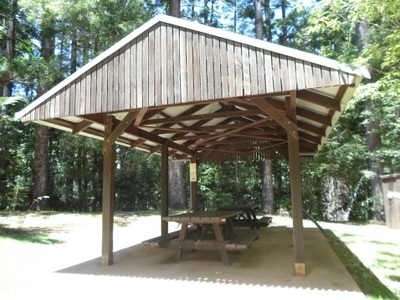 It's called The Pines picnic area, and has many more tables, including sheltered ones, as well as toilets, and impressively tall trees. Other features you can find in the park include walking and cycling trails. There's a few different entrances to the Yarriabini National Park which means you can get into it from variety of directions (look for signs to the Way Way State Forest). Consequently, it's very accessible from the Pacific Highway and places on the coast. This place is a favourite day-trip for visitors staying in nearby towns, such as the coastal Scotts Head and Stuarts Point, and the inland Macksville. 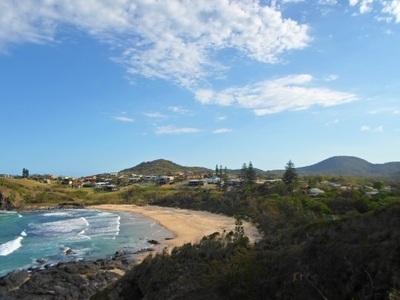 Nambucca Heads is also particularly popular as a place to say in the area. 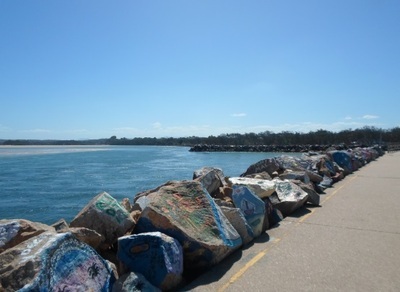 It is probably most well-known for the Nambucca V-Wall, a series of painted rocks at the mouth of the Nambucca River. Visitors can either take a walk along the two arms of the 'v' and just enjoy looking at all the artworks, or they can add their own, as most of the works have been done by visiting holiday-makers. If the lookout is what draws you to this national park, you may like other lookouts around here like the Skywalk at Dorrigo National Park, which can be reached on an inland detour on the way to Coffs Harbour, the Forest Sky Pier, just outside Coffs Harbour itself, or Kosekai Lookout in Dunggir National Park. Otherwise, there are plenty of attractions along the New South Wales coastline, with the stretch between Sydney and Brisbane called the Legendary Pacific Coast. When: It's always open, unless there's a severe fire danger.